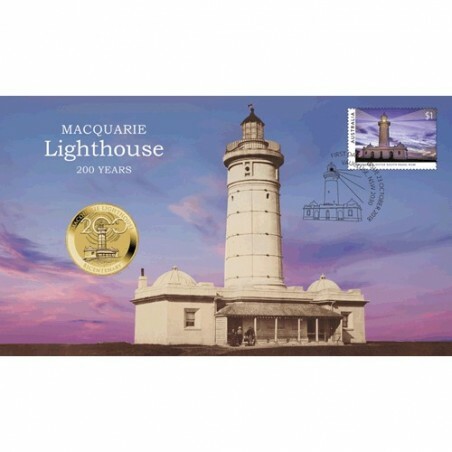 The Perth Mint and Australia Post have just released this stamp and coin cover celebrating the bicentenary of the construction of the Macquarie Lighthouse. Australia's earliest colonial lighthouse, first exhibited on 30 November 1818, is an imposing 26m tall landmark on Sydney Harbour's southern headland overlooking the Pacific Ocean. Still a fully operational lighthouse, it continues to help ships and other vessels sail safely through the entrance to the harbour. 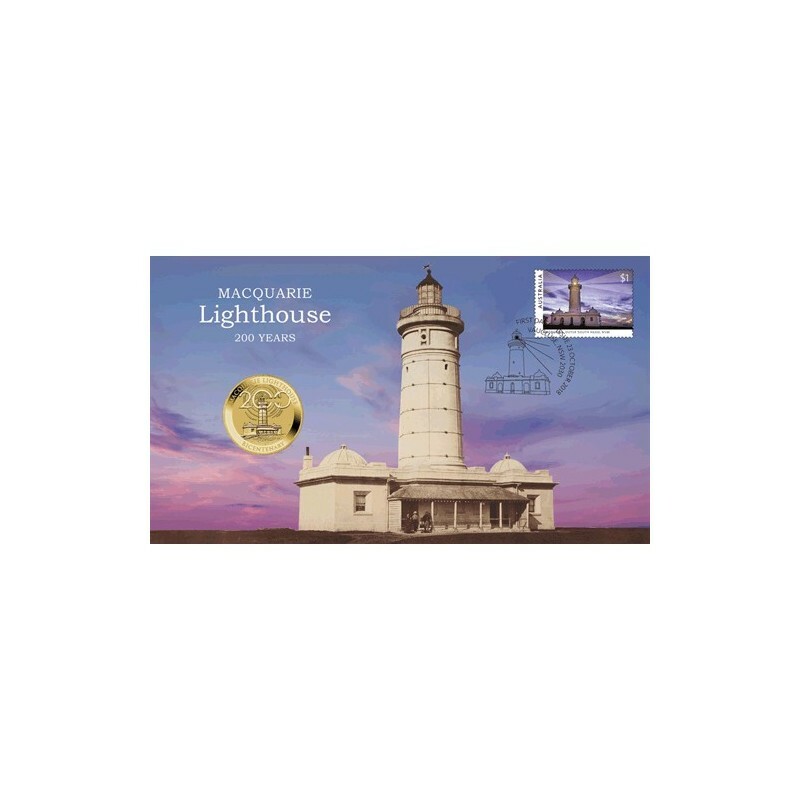 Issues as Australian legal tender, the uncirculated aluminium bronze coin is housed in a beautifully designed card with a circular window revealing the coin's reverse and obverse designs. 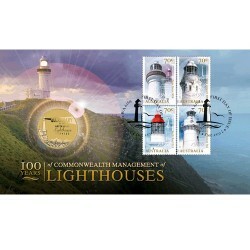 Featured on the reverse of the coin is a depiction of the historic lighthouse with a representation of the beams of light that are a beacon to vessels entering Sydney Habour in darkness. 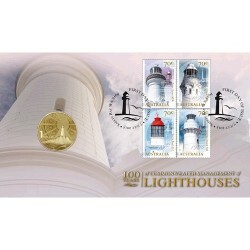 Also included in the design are the inscriptions "MACQUARIE LIGHTHOUSE BICENTENARY;, '200' and The Perth Mint's 'P' Mintmark. The Ian Rank-Broadley effigy of Her Majesty Queen Elizabeth II, the 2018 year-date and the monetary denomination are shown on the coin's obverse. 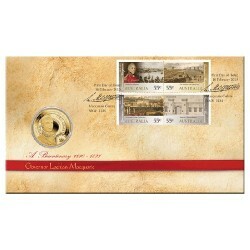 Affixed to the envelop is an official Australia Post $1.00 stamp. Postmarked First Day of Issue 23 October 2018, VAUCLUSE NSW 2030.